Updated WMKK/KUL K.L. International Airport (KLIA) Scenery for X-Plane | Life, The Universe and ... Everything! I spent a few hours updating my Kuala Lumpur International Airport (WMKK) scenery for X-Plane. I've added Taxi Routes for every single taxiway in the airport. 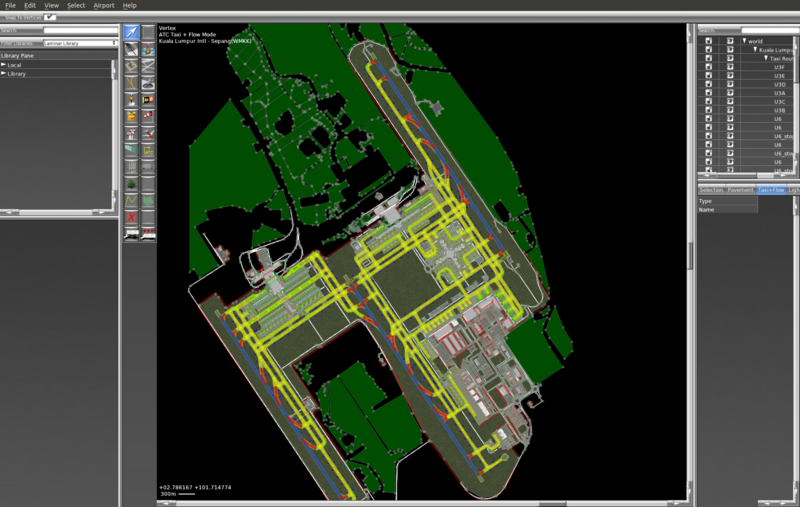 Taxi routes are used to guide AI aircraft around the airport, without which they will taxi through buildings and across grass areas. 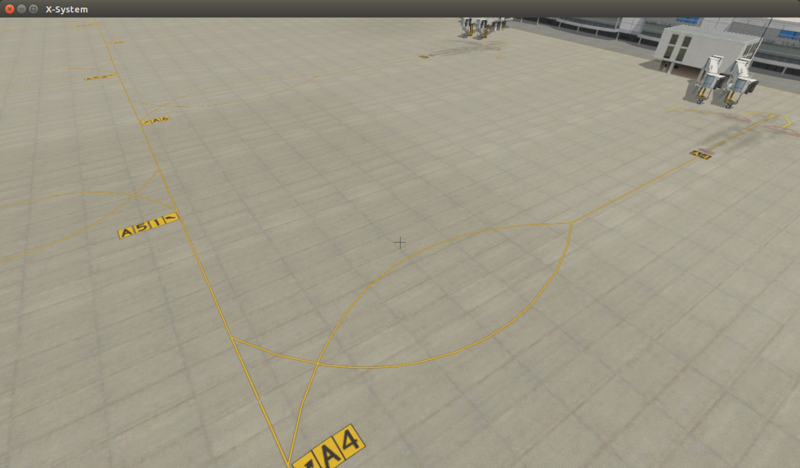 I also added Runway Use Rules, so there is now a bit more consistency in how the runways are utilised for AI aircraft. I went with a simple rule where when the wind blows from the northern side of the airport, Runway 32L is used for landings and Runway 32R is used for takeoffs, and Runway 33 is dual use. When the wind blows from the South, Runway 14L is used for takeoffs and Runway 14R is used for landings, and Runway 15 is dual use. For KLIA1 this has the advantage of minimizing taxi distance to and from the runway. I'm not sure how well this works in the simulator yet. The simulator has a debugging mode (Developer → Show Traffic Paths) which will show you the path taken by AI aircraft that are departing and arriving. IT's quite cool to just sit back and watch the AI go through its motions. Although sometimes I do think it is taking the long way around when it comes to taxiing. I have not modeled the any of the taxi ways as "one-way", as this would need a more detailed study of the WMKK taxi charts to see if they are really one way (i.e. always) paths or just some times (i.e. not always) the case. I also planted grass around the grassy areas of the airport ... before these were transparent and let the underlying mesh terrain show through. While that was fine for standard x-plane, if you are using Orthos, given the low resolution in the area, you get a blurry mess for grass. Now it looks like its been maintained properly. I'll upload what I have now to the Scenery Gateway in the next few days, and hopefully it will make it into X-Plane 11.20.